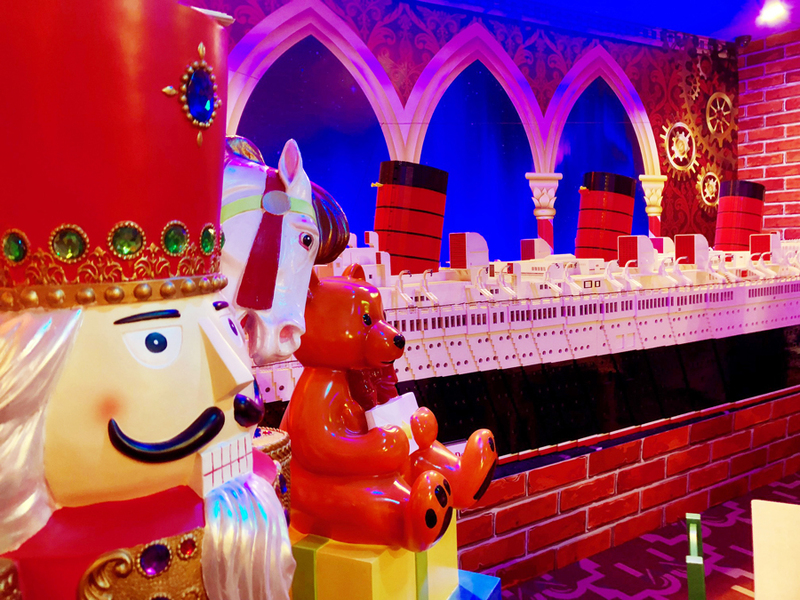 All aboard the Queen Mary Christmas : Where Holidays Set Sail! 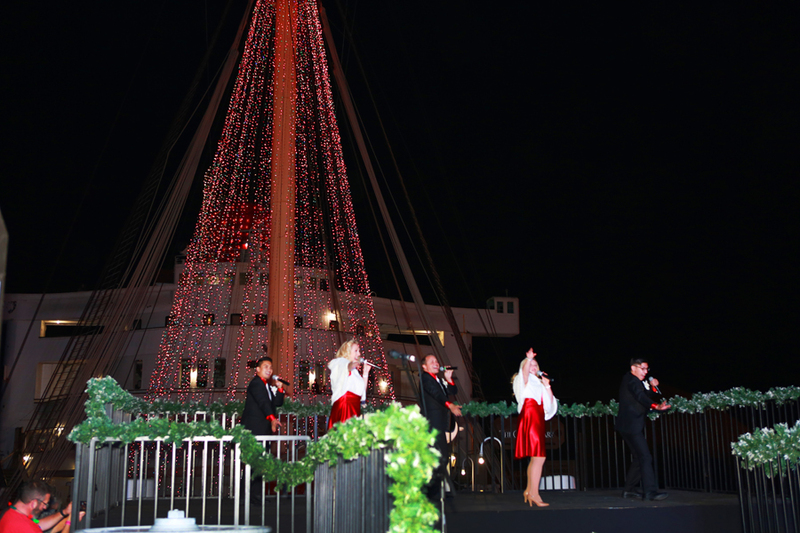 We are still beaming from our magical night aboard this beautiful ship adorned with Christmas spirit and twinkling lights. 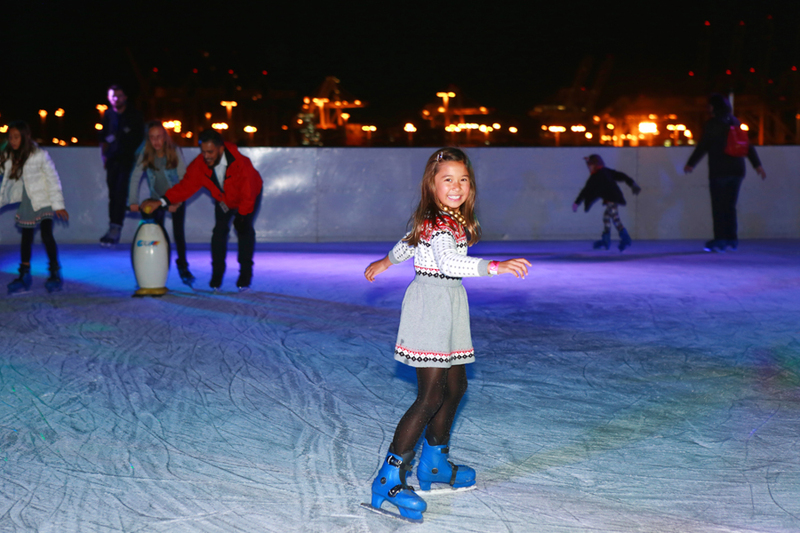 From bow to stern, all can embrace the holiday spirit strolling along the Queen Mary’s decks. 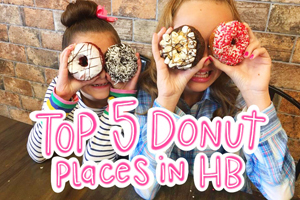 Let us take you on a tour of our memorable night! 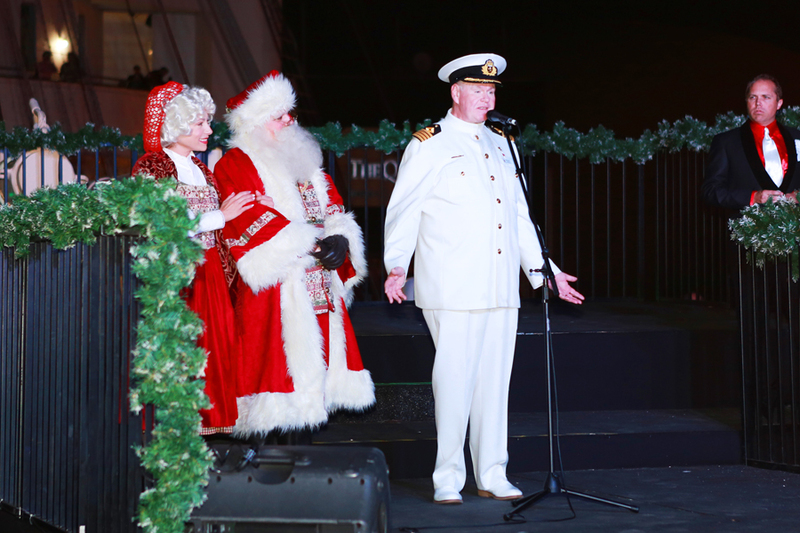 The captain of the Queen Mary is almost as jolly as St. Nick! The HB Littles loved hanging with him on the Ship’s Bow before he handed over the title of Captain to the One and Only SANTA CLAUSE! 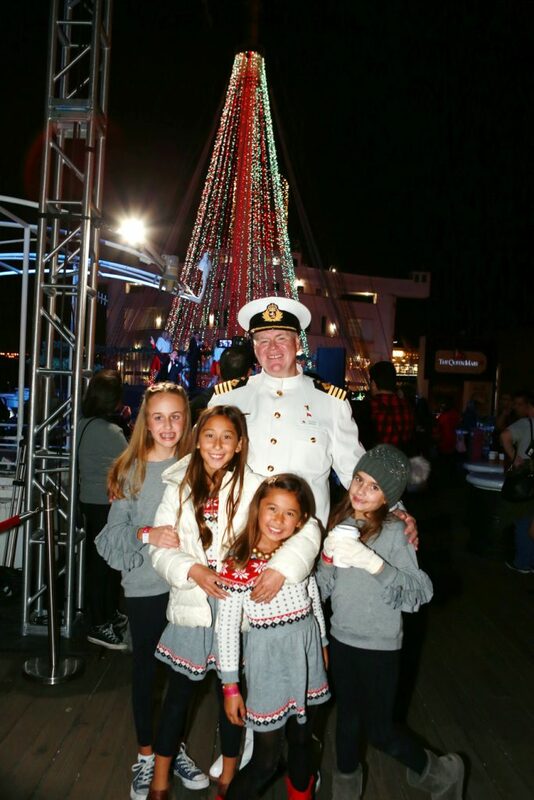 Our night began on the bow of the ship with the lighting of the 80 foot LED Christmas Tree! We sipped on hot cocoa while the Stargazers performed Christmas songs and the tree exploded in a dazzling show of 45,000 lights! The tree will be lit each night of the holiday season, you definitely won’t want to miss ‘rockin around’ this Christmas tree with your family! 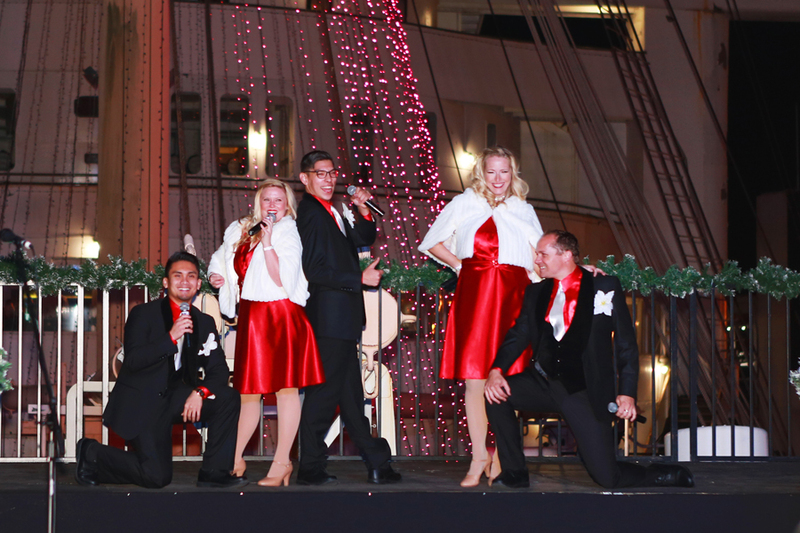 During the evening vintage-dressed carolers would preform throughout the ship which kept the Christmas spirit alive. Our little elves couldn’t wait to head to the Stocking Shop to design a custom stocking of their own. Not a detail was missed in creating this adorable workshop for them to explore while waiting for Santa! 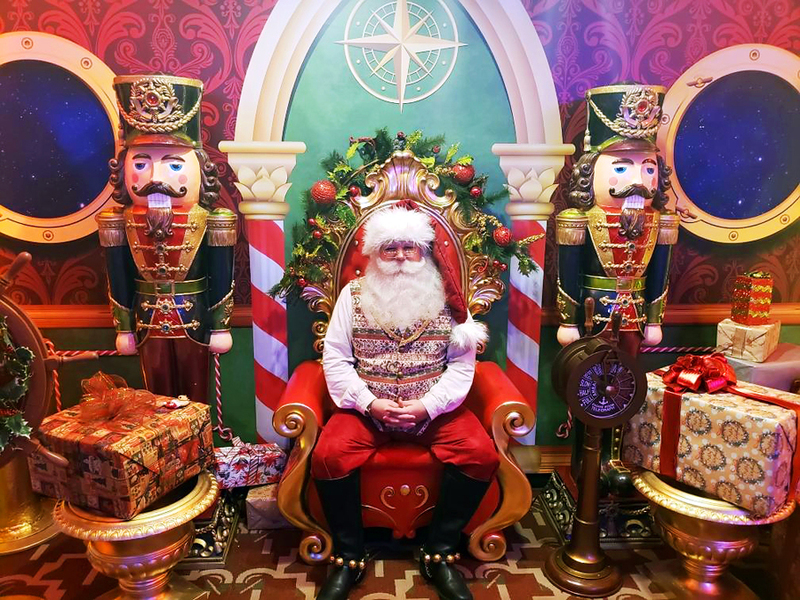 Stocking Decorating – $10 If your searching for the sweetest Santa and the best atmosphere to document this Christmas season, look no further! 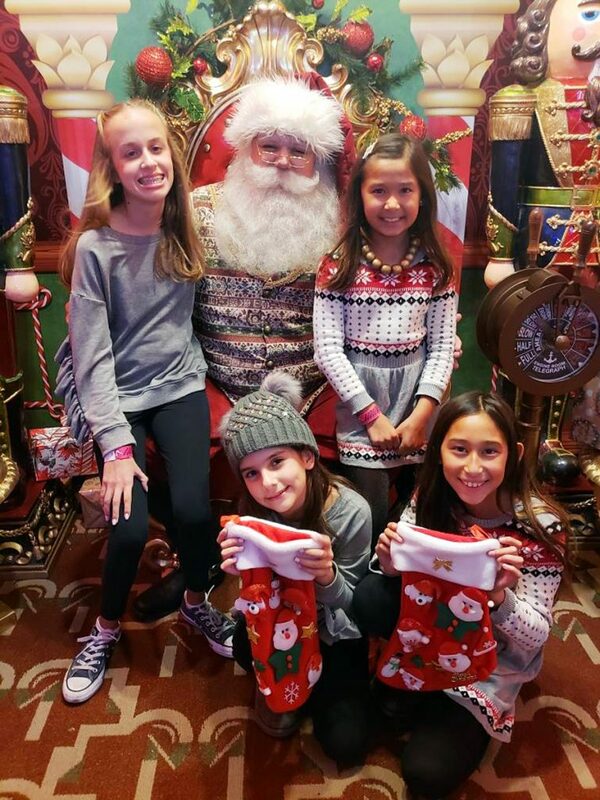 The girls felt so special spending time, chatting, and asking questions to Jolly St.Nick in Santa’s Captains Quarters. Good news, they all made the NICE list!!! Souvenir Photo: $20 After our visit with Santa he then sent us over to meet Mrs.Clause for story reading and delicious Hot Cocoa in the Starboard Lounge. 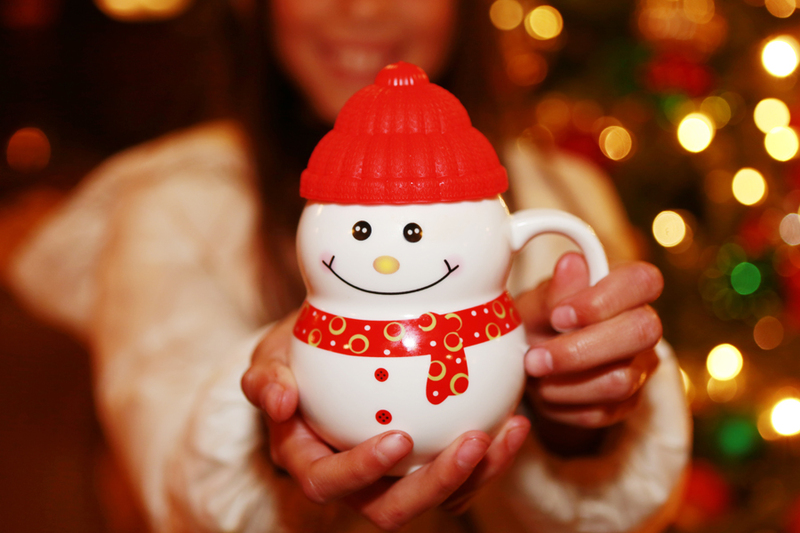 The girls loved to customize their toasty beverages with lots off yummy candy options. 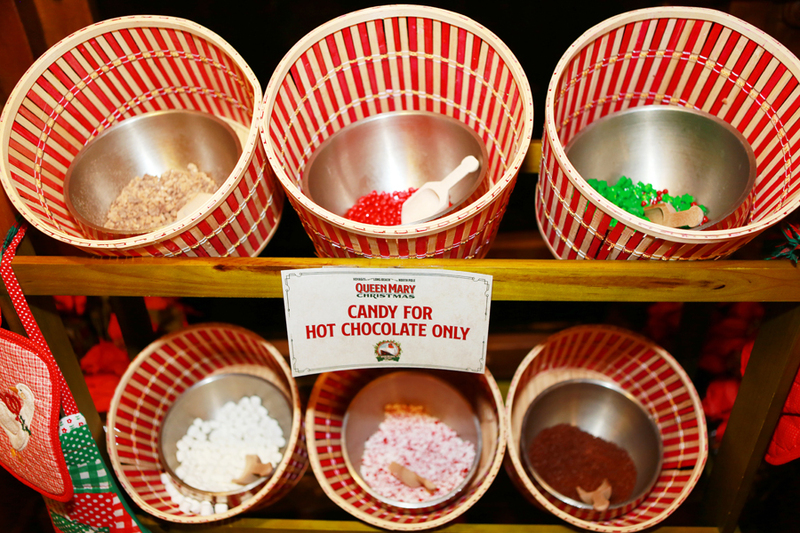 Souvenir mug: $8 (includes cocoa and unlimited candy toppings) Mrs. Clause was just as sweet as Santa and gave us all a chance to take a rest and enjoy some holiday Christmas classics reads. We then met up with a baking elf who escorted us through a tunnel of magical lights towards Gingerbread Village. 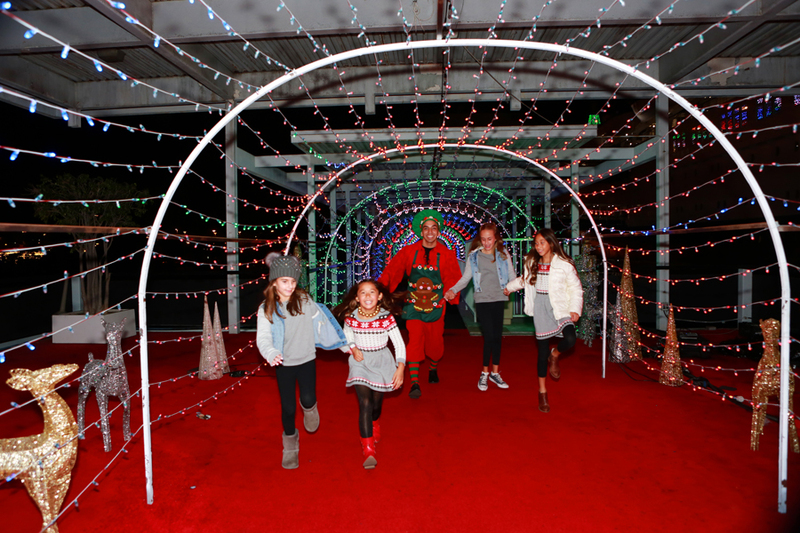 The Promenade Deck was glorious dressed in thousands of colorful lights creating the Canopy of Lights display! 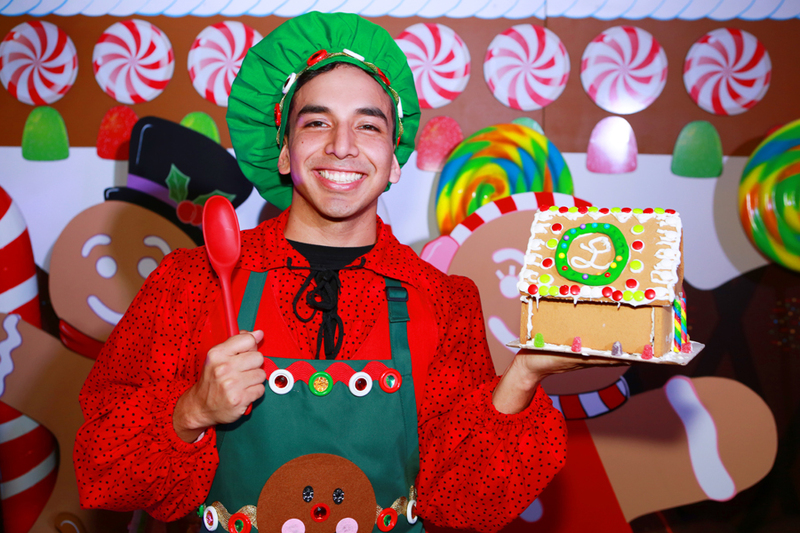 Gingerbread Village was the cutest thing we have ever seen! Giant gingerbread men and oversized candy surrounded the decorating tables. There even is a singing baker! Gingerbread House Decorating – $15 Be sure to schedule a time to skate when you first arrive at the Sports Deck True North Ice Rink! We enjoyed a panoramic view of the Long Beach harbor while skating 181 feet about sea level! The glittering stars above us along with the twinkling lights of the queen herself made us feel like we were in a holiday movie of our own! This was definitely the highlight of our night and the icing on the cake. 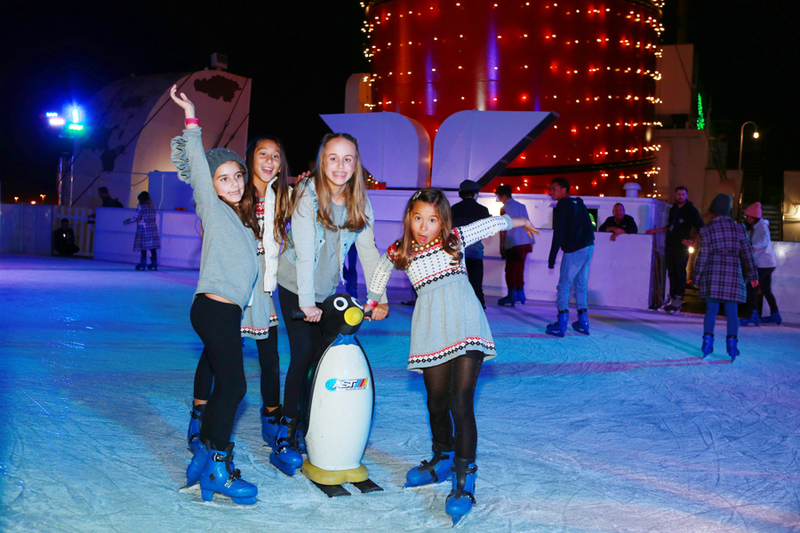 Ice Skating – $15 (includes skates) *Be sure to head to the Sports Deck when you first arrive to schedule your skating session. Time slots sell out quickly. 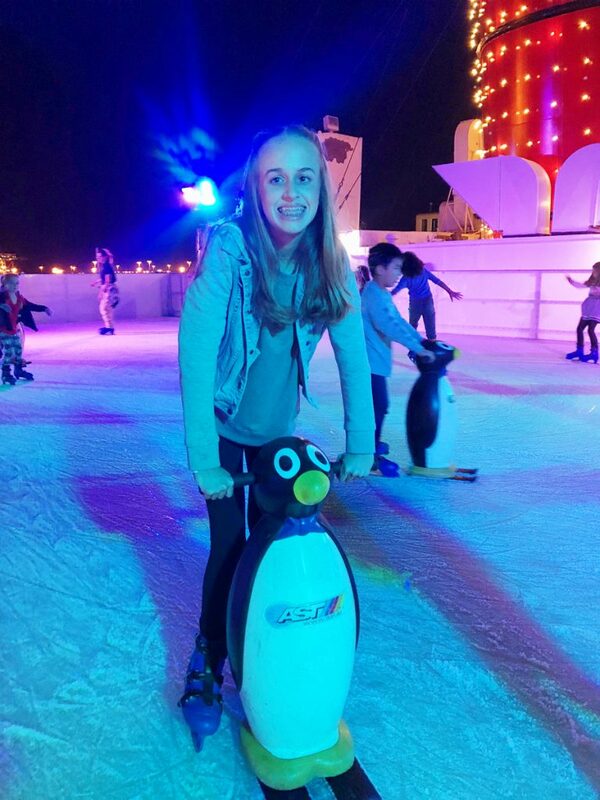 You can even rent one of these adorable penguins for beginning skaters or for those that need assistance. Aren’t they so fun!? 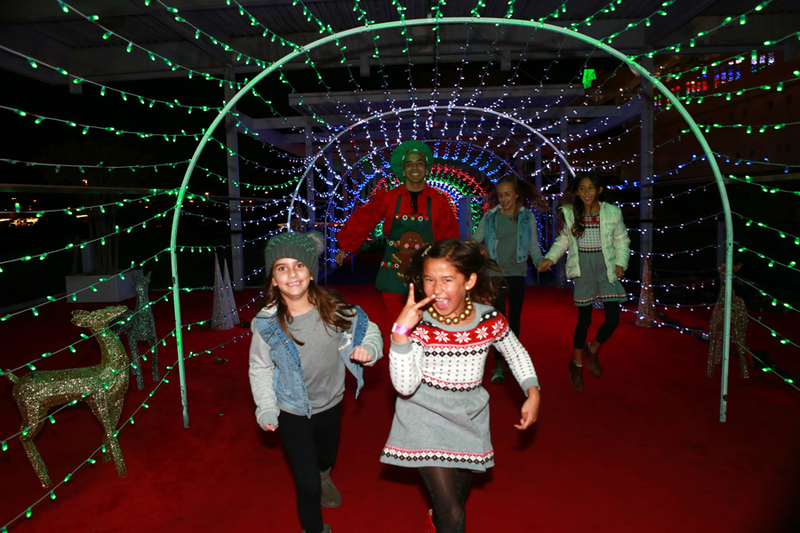 Our night was more than magnificent and we created holiday memories that will last a lifetime. 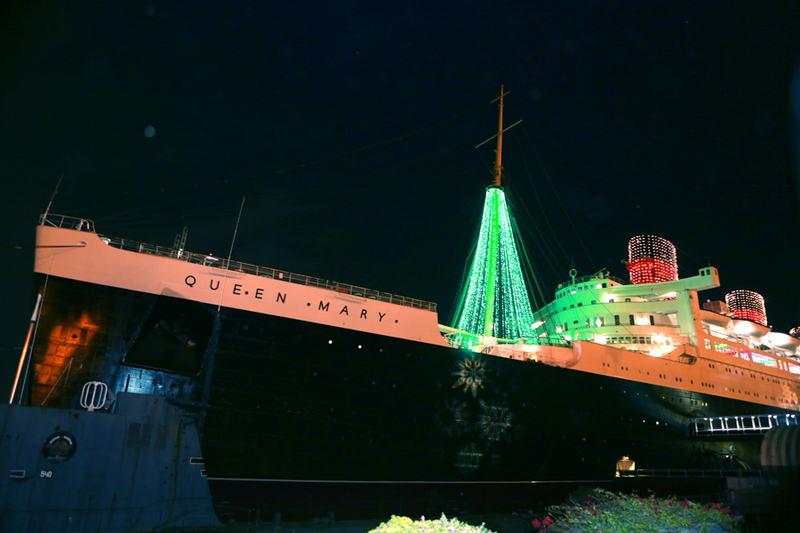 Experiencing the Queen Mary Christmas is a must this season for all. 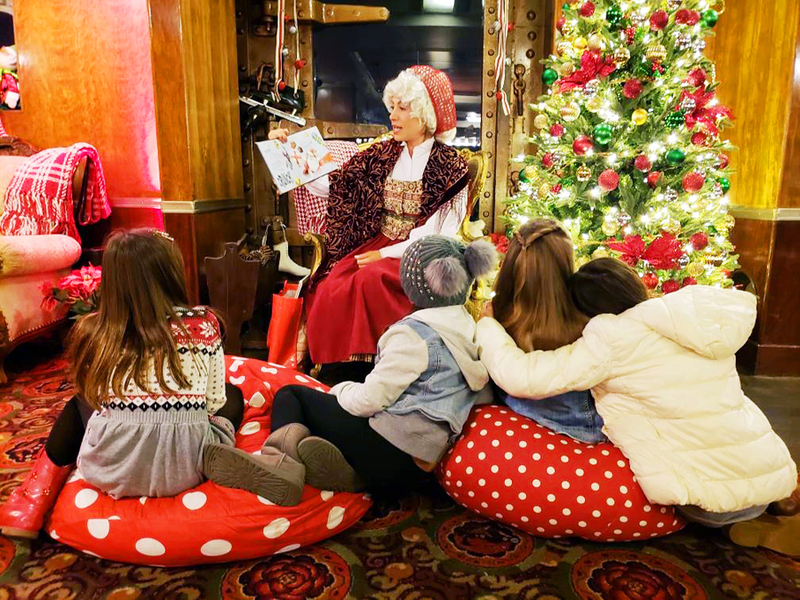 For more information, to purchase tickets as well as get info on the weekly Breakfasts with Santa and the Holiday Dinner Show be sure to visit the QueenMary.com.